In 1934 famous detective Hercule Poirot solves a theft at the Church of the Holy Sepulchre in Jerusalem. The obsessive compulsive Belgian—who seeks balance in life, and considers his case-solving ability to see a lie amid truth a curse—wants to rest in Istanbul but must return to London for another case. His friend Bouc, director of the Orient Express, offers him a room on the train. 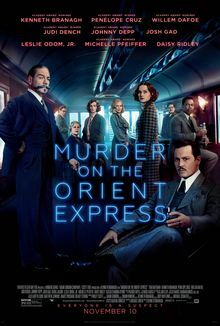 Poirot refuses sinister businessman Samuel Ratchett's offer to hire him as his bodyguard during the three-day journey, as Ratchett has received threatening letters from an unknown party. 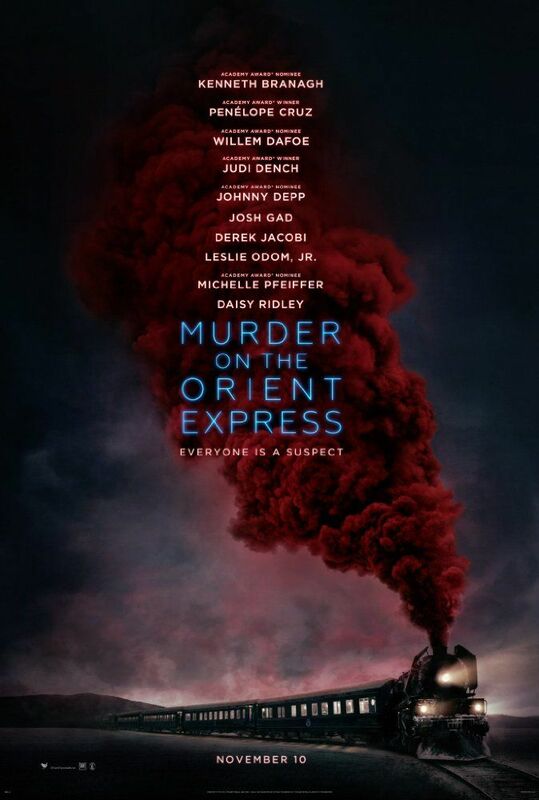 That night Poirot hears strange noises coming from Ratchett’s compartment, and sees a woman in a red kimono running down the hallway. An avalanche derails the train and strands the passengers. Read more on Wikipedia.